Elegant design and look. Professionally manufactured using Australian standards and specifications. 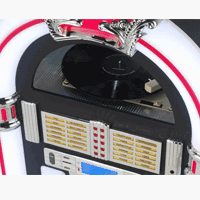 Aussie Jukebox is a husband and wife family run business since 2004. 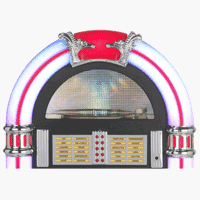 Ever since we were kids, we always loved coming across homes or restaurants that had a jukebox playing with great music. There was always something about the mesmerising lights shiny chrome and of course great music that seemed to draw us towards them. So we decided to manufacture an affordable quality version designed based on the original Wurlitzer to offer to all Australia wide. 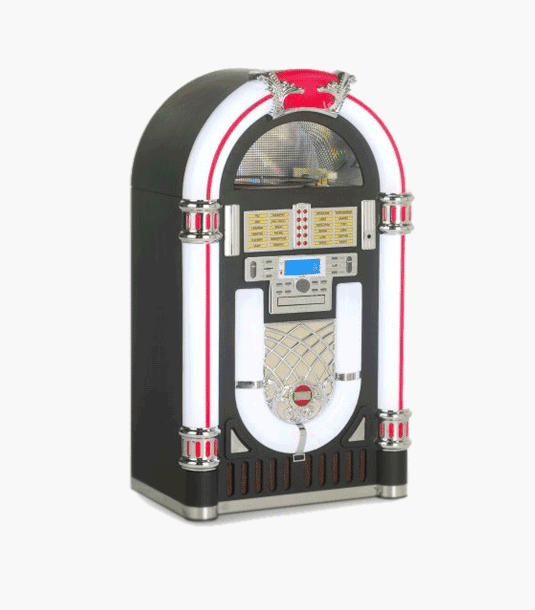 When the jukebox is dispatched, you will be emailed a consignment number that you can use to follow the delivery to your address via our couriers website. Your purchase is completely covered by repair or exchange service at our cost including any transport costs. Copyright © 2004-2019 Aussie Jukebox. All rights reserved.